Finally, in order to meet all requirements, the SQUID is compatible with several different clamp sizes from 10mm to 24mm in diameter, with max currents up to 100A for this version in EnOcean. SQUID wireless communication is non-proprietary, allowing it to be compatible with third-party products: home automation systems, vending machines… More details on the different communication protocols are found in the product documentation. The SQUID communicates wirelessly with the monitor and third party products. 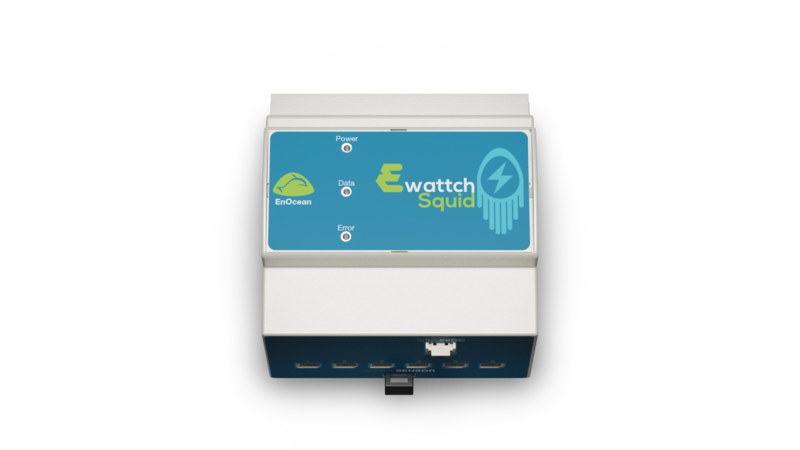 ENOCEAN-SQUID: SQUID accepting currents up to 100A, delivered without accessories and using the EnOcean wireless communication protocol. ENOCEAN-SQUID-KIT: Kit including an ENOCEAN-SQUID, and power supply with DIN rail mounting 230VAC-5VDC (ref . : ALIMRAIL-5V).